application development companies in USA for the same, you have come to the right page! 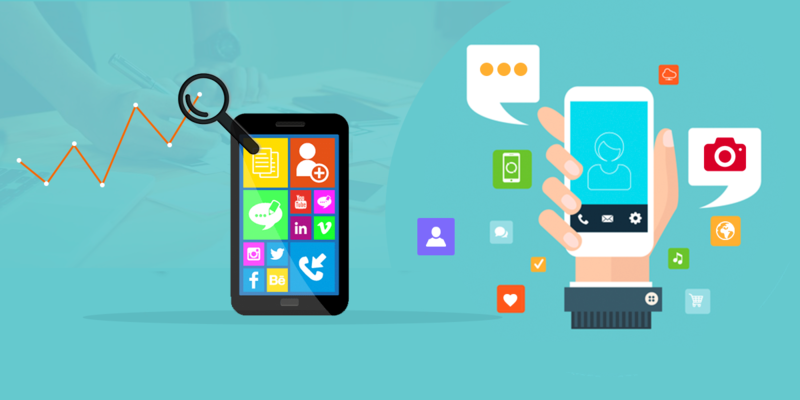 This blog is going to take you through the course which would make you realize why exactly you should combine the mobile apps ASO and SEO together. The increasing use of the Internet and other sturdy online promotion techniques, building an exclusive app is not something developers hardly come up with. Rather, it has just become a common drift for every other professional. So, how to go along with this competition? However, as a mobile app publisher, you don’t have to get frightened in this part. Provided, you are taking a fleet of smart steps into consideration, you are not away from the ultimate success. Don’t forget, while marketing your application, you are keeping pace with almost 3.8 million Android applications and over 2 million iOS applications. So, in such a juncture, getting your app issued in the market is one thing and getting it widely detected is another. So, it’s always suggested that you have a solid promotion plan that would integrate the most effect effective mobile app practices SEO and ASO together. Well, when it comes to getting your site at the top rank and optimizing the same for any search engine, SEO is something one is bound to adhere to. On the other hand, ASO is taken recourse almost for the same purpose; only the basic difference being this particular technology accounts for apps instead of websites. So, you would actually not be wrong saying SEO and ASO are nothing but the two different sides of the same coin. And, it always makes sense to merge both the gimmicks together to make the best out of it, to attain their ultimate performance. Whether yours is a medium business venture or a big-scale one, clinging to this advanced strategy would always help you in more than one way! So, why to miss out on the same? According to the recent statistics, Google is still considered as one of the most significant sources of app detectability. So, as a wise mobile app developer, you have always got to abide by its rules and regulations. Otherwise, the traffic, visibility and ranking of your website will definitely degrade to a considerable extent. When serving your app to the right people is more than important, you should never miss out on an opportunity to optimize your site for the same. Simultaneously, app stores, just like Google and Bing, act as closed site search engines. So, there is literally no confusion that idea behind SEO and ASO is no way dissimilar to each other. To make your mobile app visible to your target audience, you have to get its rank higher in the app store. Also, with the bar between mobile and desktop getting dimmer day by day, app marketing and web marketing is getting unified. Offering exceptional user-experience is something you should always take as one of your main business objectives. And, the finest way you can attain this goal is by combining ASO and SEO. So, you drive through this stride and you are no more far from experiencing active engagement of your loyal customers. Being one of the top app development companies in USA, Panacea Infotech takes the best endeavor to deliver exclusive and engaging mobile apps to an array of mid-scale as well as big-scale ventures. With its exclusive capabilities and top-end team of designers, testers and developers, we have the best-in-class resources to build robust and sophisticated mobile apps. Providing end-to-end digital and technical support, we make sure that all your requirements are perfectly catered to and you get the best value for your money. The impactful applications are highly feature-rich and are meant to elevate your business to a significant extent. Also, we provide custom software solutions to our clients and help them seize up the top positions in the market. You can reach out to us any time you want and we will be glad to fulfill all your business requirements.